Åsa. Click on picture for a larger version. 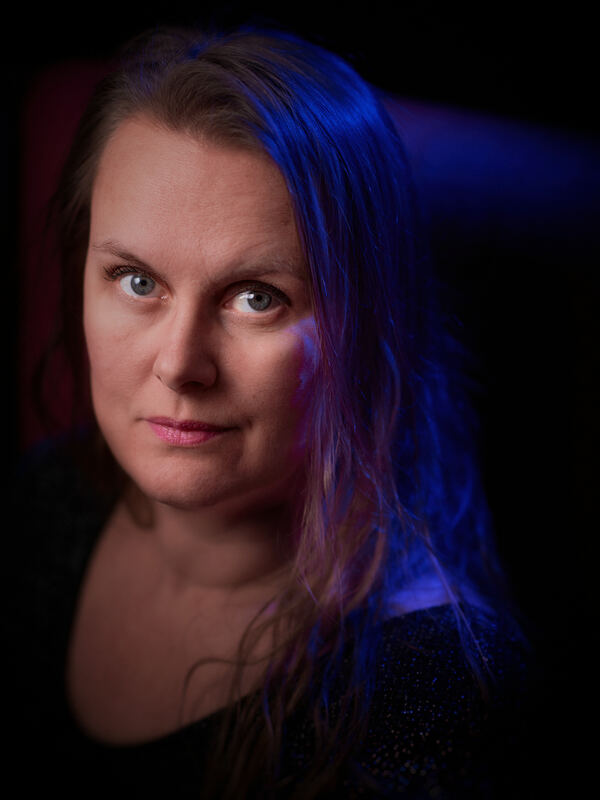 Portrait of Åsa. Two strobes. Main light from left – Godox AD600B TTL throug an umbrella – and SB910 with blue filter from behind. Nikon D810 with AF Nikkor 85 mm f/1.4 G.